From the award-winning author of Warning: Do Not Open This Book! 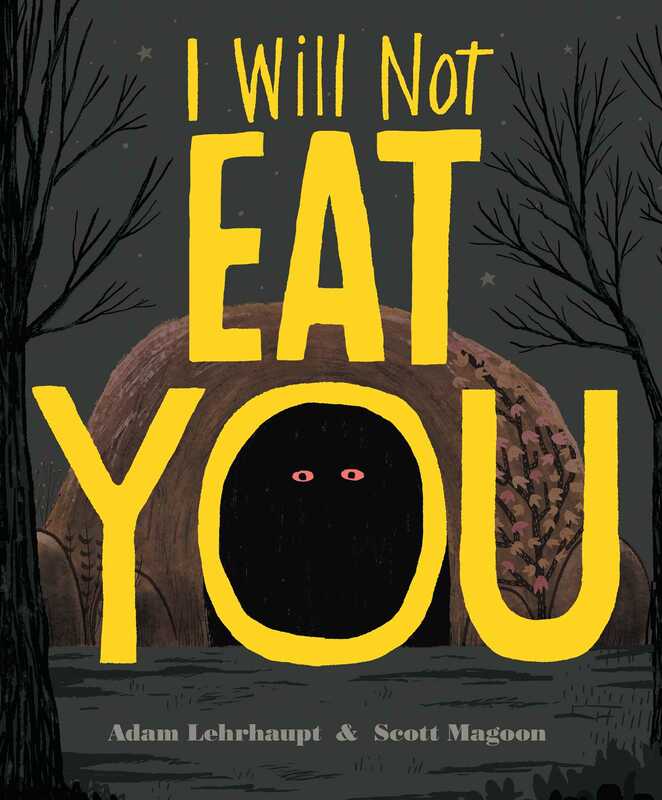 and beloved illustrator Scott Magoon comes a suspenseful and darkly funny new picture book about a creature who resists the urge to eat the animals that wander into his cave…at least for now! Theodore thinks everything is a potential meal. Lucky for the bird, wolf, and tiger, who pass by his cave, Theodore isn’t hungry…yet. But then something new approaches. A boy. Has Theodore found a new favorite food? Or something more? Adam Lehrhaupt’s first picture book, Warning: Do Not Open This Book!, received the E.B. White Read Aloud Honor Award, was an ALA Notable Book, and a Huffington Post Notable Book. School Library Journal called it, “More fun than a barrel of monkeys.” He is also the author of Please, Open This Book!, which was named a Wanda Gag Comstock Read Aloud Honor Book and Idea Jar. 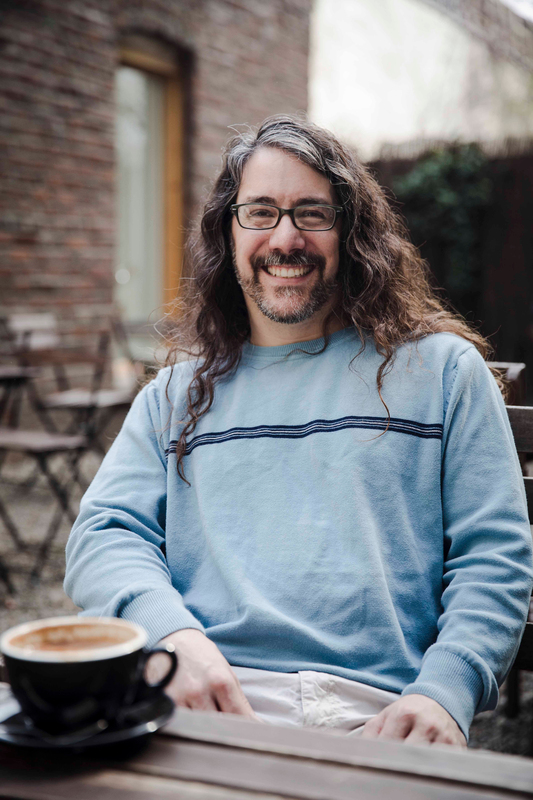 Adam has traveled to six continents, performed on Broadway, and lived on a communal farm. He currently lives in the suburbs of Philadelphia, Pennsylvania, with his wife, sons, and two bizarre dogs. Visit him online at AdamLehrhaupt.com. Scott Magoon is the author-illustrator of Breathe, a Kirkus Reviews Best Read Aloud, a Huffington Post Best Book of 2014, and Chicago Public Library Best Book of 2014; and The Boy Who Cried Bigfoot, which Kirkus Reviews called, “Entertaining and clever—and that’s no lie.” Among the many books he has illustrated is Mostly Monsterly by Tammi Sauer, which School Library Journal called, “A fun and delightful read for all children who have both a monsterly and a kind side.” Scott lives in the Boston area with his wife and two sons. Visit him online at ScottMagoon.com. Magoon's exuberant art recalls classic characters, most particularly Max in his wolf suit. . . . Fanciful pretend play for the dragon-slaying preschooler. The dark color palette and mischievous nature of the text are reminiscent of Jon Klassen’s I Want My Hat Back (2011)—albeit with a different final outcome. Magoon’s bold, angular, digitally rendered drawings capably juggle action, suspense, and comedy. . . . By focusing on Theodore’s thoughts and perspective, Lehrhaupt adds unexpected nuance to this David and Goliath story—it’s not clear who’s the aggressor and who’s the victim. What is clear is that size doesn’t matter and laughter trumps fear.